Amazon Opened A Weird New “4-Star” Store. Here Are 8 Thoughts From Our Visit. 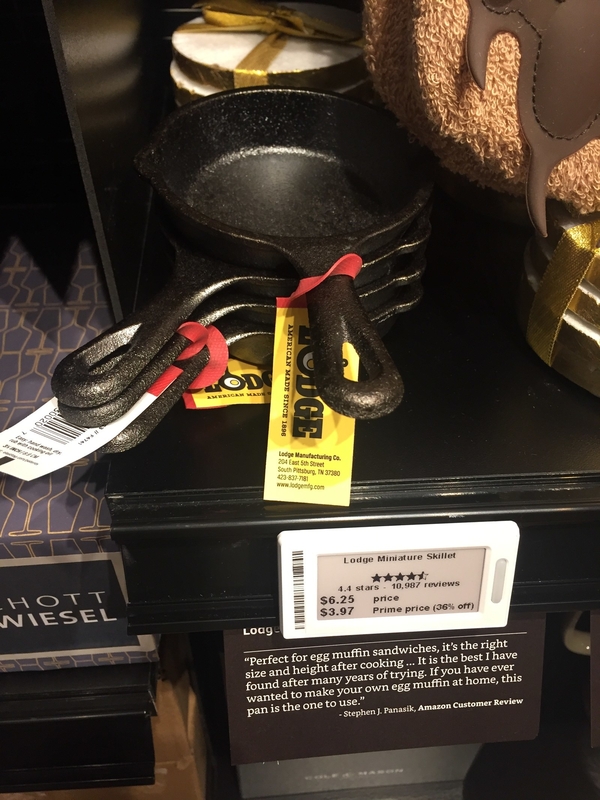 It had $20 kitchen mittens resembling dog paws, $16 USB cables, a corn kernel stripper for $7.99, a $15 mug that reads “Believe in yourself.” Oh, and some Alexa stuff. Amazon’s latest take on shopping is a novelty gift shop charged up on data. 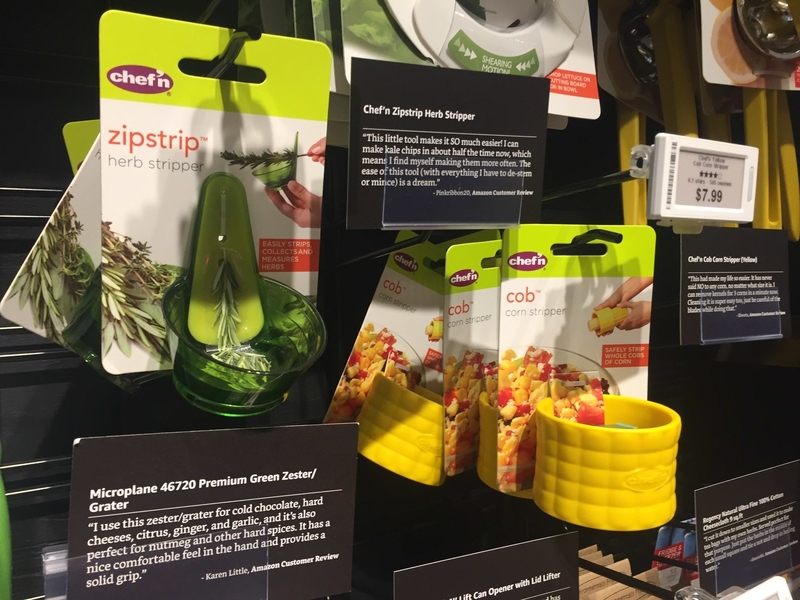 The e-commerce company opened its first Amazon 4-Star store Thursday in New York’s SoHo neighborhood that exclusively sells four-star–rated items in its top categories. Squeezed into a 4,000 square foot store are Amazon’s trending products across its top categories, including devices, electronics, kitchen, home, toys, books, and games. 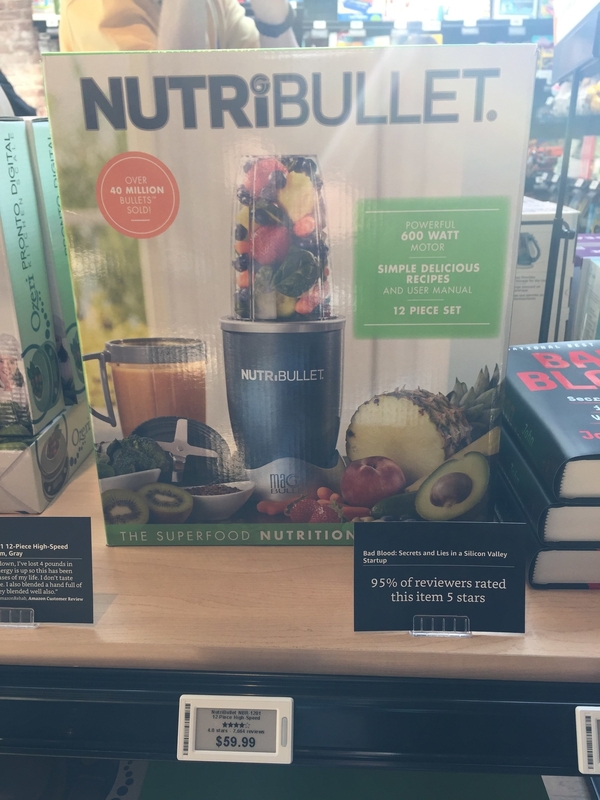 A team of curators at Amazon looked at the company’s top categories and selected about 2,000 products based on average star review, sales, preorders, and how frequently they’re added to wish lists. Amazon uses a five-star rating system, so a four-star rating is pretty damn good. Still, it’s unclear whether Amazon’s particular take on a physical store will take off. A brick-and-mortar store based entirely on reviews is a gamble. Amazon is notoriously plagued by fake reviews and is investigating incidents of employees taking bribes to delete reviews. 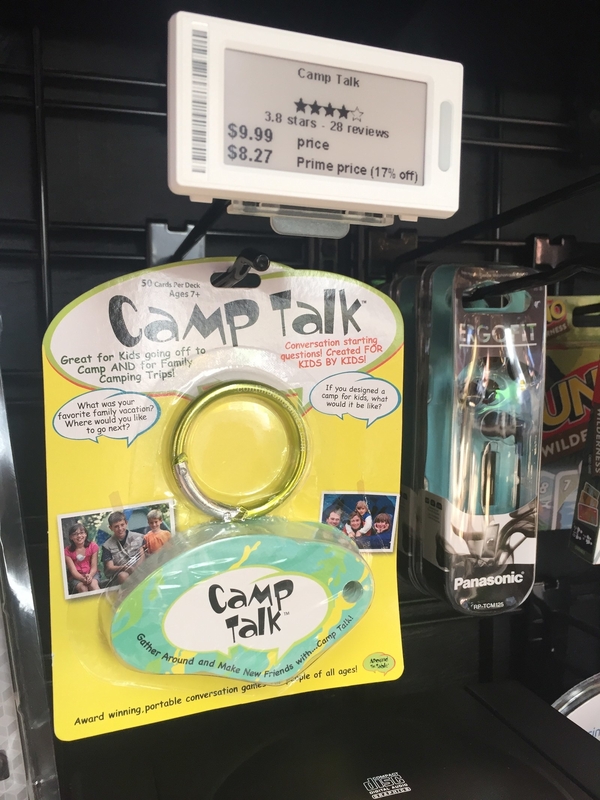 Wong said he “couldn’t quite grab that theme” of the store and described the store experience as “disorganized,” resembling a “physical manifestation of the website.” Still, Amazon has the money to try new things. “What I do applaud them on is their willingness to experiment with different formats,” he said. 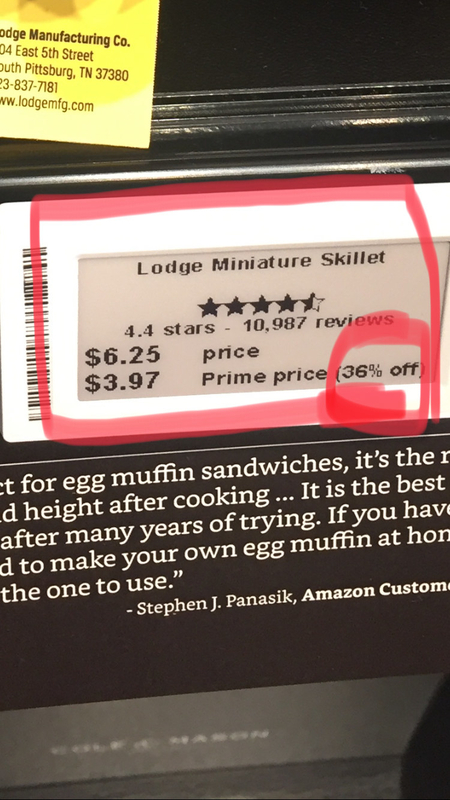 I visited Amazon’s new shop to see what happens when you stuff a store full of highly rated things. Here are some thoughts. 1. People are buying a bunch of random crap. The selection of four-star–rated gadgets and trinkets is vast and dizzying. 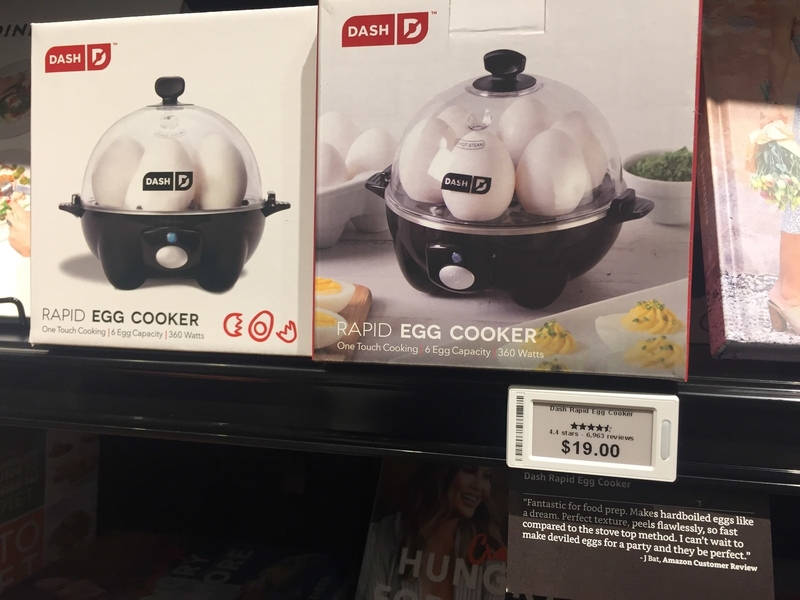 You can find everything from a 4.4-star–rated Amazon Basics power strip to a 4.4-star–rated baking soda container for a fridge called “Chilly-mama” to a 4.5-star–rated herb mincer fit to use in one hand, to a 3.8-star–rated cheese grater in the shape of an armadillo. 2. 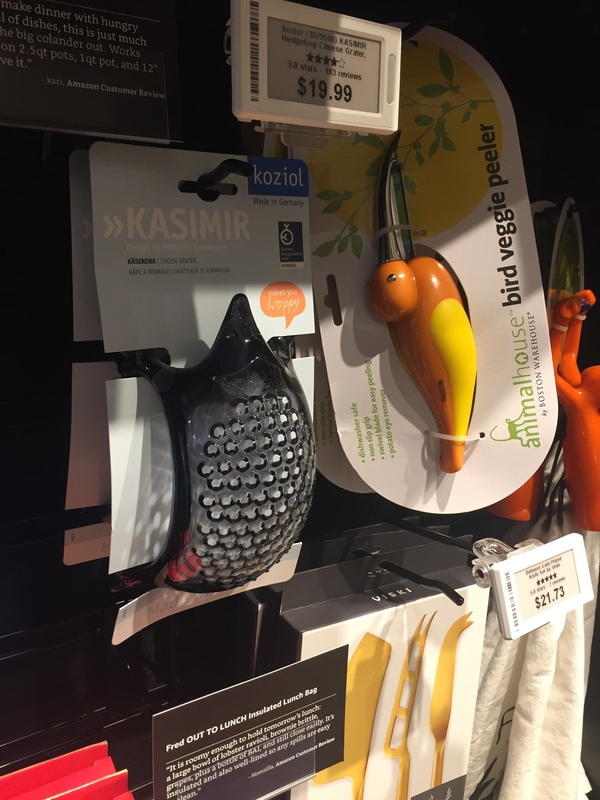 Amazon’s store sells quirky, random items — not low-price, everyday household goods — i.e., it isn’t directly competing with Walmart or Target. Walmart is Amazon’s biggest competitor, with more than 4,700 stores across the country that are within a 10-mile radius of 90% of the population. 3. The prices on a lot of items aren’t that low. There were $20 kitchen mittens resembling dog paws, a $16 USB cable, a corn kernel stripper for $7.99, a $15 mug that reads “Believe in yourself.” Underneath some of the list prices, Amazon includes a discounted price just for Prime members, which brings me to my next point. 4. The store is basically a giant ad for Prime and Amazon Basics. Listing the reduced Prime price along with the list price is a pretty clever scheme to get more people into the Prime network. When I visited Thursday, some prices for Prime members were up to 36% lower than the list price. 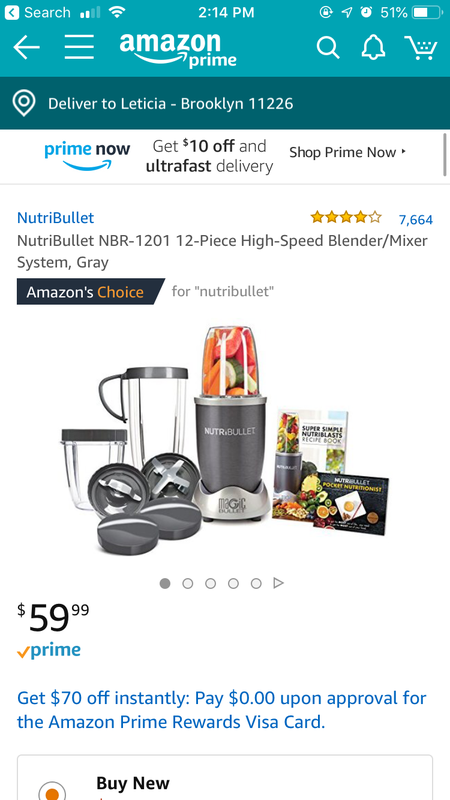 The company said in a press release that people can “easily sign up for a free 30-day trial and instantly receive the Amazon.com price in store.” It’s like Amazon’s version of enticing shoppers to sign up for a store credit card to get a discount. 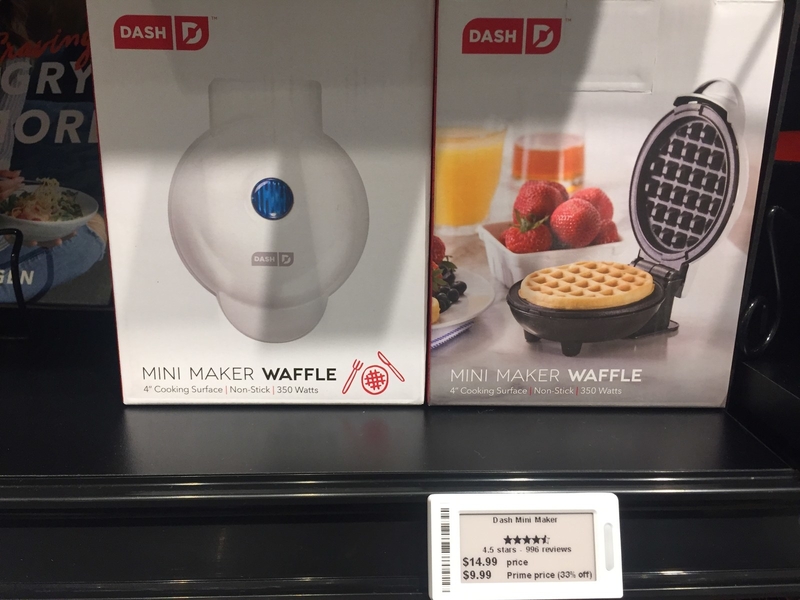 The store also heavily markets its own private-label Amazon Basics products, from whisks and wine glasses to computer cables and baking mats. 5. Everything costs the same in the store as on Amazon.com. The prices are always changing on Amazon.com, which could mean if you pick up an item for $5.99 and the price drops by the time you check out at the registers, you’ll pay the cheaper price. 6. Aside from dynamic pricing, there weren’t any bells and whistles showing off Amazon’s tech muscle. There were still human cashiers. Based on the Amazon 4-Star store, you wouldn’t have a clue that Amazon.com is a pioneer in technology. The store isn’t powered by Amazon Go checkout-free technology (which senses what shoppers are putting in their carts and charges them for it so they don’t have to wait in line to pay); there is no pop-up notification on your phone when you’re near the store for marketing or promotional purposes; and there’s no AR experience. The store is generally low-tech, which seems like a missed opportunity for Amazon. 7. Even its tech displays are kind of underwhelming. The store’s entire electronics section is in a back corner, which is pretty surprising and kind of disappointing considering Amazon could use it as a real showcase for Alexa. It consisted of a couple of tables with devices and bundled gadgets. Shoppers could try out Amazon’s Ring or Echo devices, but the Kindle and Fire Tablets weren’t hooked up to test out, and the whole area was kind of cramped. 8. The store is dog-friendly! Amazon is famously dog-friendly. However, its pet section was pretty modest and included many items — Chuck-it arms, balls, pet bowls — that could be found at your local PetSmart or Petco.